Coming up with a way to steal an entire geological feature is the sort of whimsical nonsense that you would expect from inventor/engineer/artist/scientist/architect/professional hand model* Leonardo da Vinci. 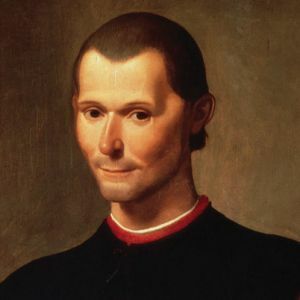 Scheming to deprive a rival city of life necessities to gain the upper hand politically is the sort of unethical dickery you'd expect from Niccolo Machiavelli. Put these two together, and you have the plotline of a Renaissance buddy heist comedy. It's the turn of the century--the sixteenth century-- and Italy is, as ever, a hot mess. Florence and Pisa are fighting, the Borgia family is causing problems (again), and Milan now has tanks and fancy siege machines thanks to the genius of one Leonardo da Vinci. Due to a recent Florentine regime change, political mastermind Niccolo Machiavelli is in a position of power at the Florentine court. He's looking for a way to enrich Florence and end the conflict with Pisa once and for all--preferably without bloodshed. He found his answer when visiting the court of Cesare Borgia in 1502. Leonardo da Vinci was residing at Borgia's court when Machiavelli came to visit. He had just finished up working for the Duke of Milan, and when he wasn't busy spying on Borgia for Florence, he was pretty fascinated with whole concept of water. Presumably, at some point these two men met, or at least were put in contact with each other. Between the pair of them, they hatched a brilliant scheme to make Florence rich, and screw over Pisa once and for all. They were going to steal the river Arno. The river Arno was the main water source for Florence, as well as for Pisa. By stealing the Arno, Machiavelli and da Vinci hoped to not only deprive Pisa of the ability to grow their own crops, bathe, and stay alive, but to irrigate the farmlands of Florence, and turn a profit by selling the water to local farmers. Additionally, the water would be diverted into a series of canals that made it possible for ships to sail from Florence to the Mediterranean. Stealing the Arno would be a real win for Florence, and a death sentence for Pisa. Stealing a river is a pretty big task, but da Vinci didn't care. He gleefully set about making plans that involved tunneling under a mountain, moving millions of tons of dirt, and required some 50,000 workers. Once Machiavelli signed off on them, his plans went to the engineer Columbino--the real villain of this story. Columbino isn't really a villain, he was just under a lot of pressure, and he didn't listen to da Vinci. Instead of digging one massive trench, Columbino decided to build two shallow trenches, and let the river erode them into one. Additionally, he underestimated the amount of time and men he'd need to build the canals. This wouldn't have been an issue, except war broke out, and Columbino and his workers were under frequent attack by the Pisans. Needless to day, Columbino's construction failed. The Arno destroyed the two canals, and more or less stayed on its course. The Florentines and Pisans worked it out, and Machiavelli and da Vinci parted ways, never to discuss their project again. LOVED reading this! Thank you so much for sharing! I wish my books in history class could have all been written by you!